This policy lets you know what happens to any personal data that you provide to us, or any that we may collect from or about you. It applies to all services and cases/examples where we collect your personal data. Protecting your personal information is important to NASHiCS. Our members expect us to manage their information privately and securely. If we don’t they will lose trust in us. We mean any information about an individual that can identify them – Name, address, email address, telephone number and financial details. Marketing to you and analysis of data including history of these communications whether you open or click on links. Sending of information on booking events or on your membership of the Association. Given to us directly either on line or by post when you complete forms to become a member of the Association. Enquiries by email, telephone, voice mail and text. Information we collect about you or receive from other sources electronically such as through online portal, to attend events or complete Members surveys or from online browsing. Information from third-party sources such as Social Media. To provide marketing information such as Association events as a Member which may be of interest to you or you have requested in your marketing preferences when you became a Member of the Association. We share this information to you via the Association web mail, post or a secure mailing site. To tell you about changes to services and membership. 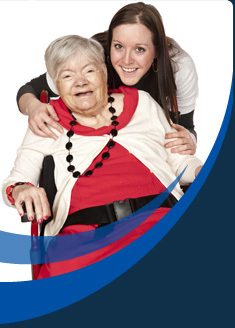 To keep you informed of latest Care Sector News via our e-News using a secure mailing site e.g. Mailchimp. We will continue to use current Membership information that you have provided to us before 25th May 2018 and haven’t informed us that you have reviewed your preferences. (This can be done at any time). (including when we share it with others). We are required to meet certain conditions for which NASHiCS takes this task very seriously. Where it is needed to provide you with our services. Assessing and application for membership. Updating your records, tracing your whereabouts to contact you about your membership and also for recovering and debt (where appropriate). We process your personal information to carry out our responsibilities resulting from any agreements you have entered into with us and to provide you with the information, products and services you have asked from us including online services. Complying with applicable laws. Processing your personal information to comply with any legal obligation we are subject to. We may provide you with marketing information about our services in order to carry out our responsibilities as requested by your consent to become a Member. You can also manage your preferences at any time on accessing your personal data in your membership account online through your pass worded access. How and when you withdraw your consent/membership. You may do this at any time by contacting us via email administrator@nashics.org or post to Administrator, NASHiCS 347 Horse Road Hilperton Trowbridge Wiltshire BA14 7PE. We will keep your details for as long as we have reasonable operational/membership needs and it is legitimate to do so. We will determine the length of time based on minimum retention periods or a requirement by law or regulation. Records are deleted electronically securely or shredded if in paper form. We may share information with a third party in order to maintain membership services you have requested or when you have opted in or consented to disclosure for this purpose. We share your information with the Finance and Accounts section to maintain your membership operated through a secure contact line with RA Bookkeeping Registered at 11, Albany Close, Trowbridge, Wiltshire, BA14 7 LN. We may also share specific information with members of the Association’s National Executive Members concerning strictly membership issues. Government and regulatory bodies such as HMRC. We are also registered with Mailchimp as a means of distributing information to members. We are continuously striving to improve our services. To help us find out about what works and what doesn’t work on our website, we use Google Analytics, an anonymous analytics service provided by Google which tracks and reports website traffic. We do not sell or share data with any other third party. Your Rights – Contacts and Complaints. The right to erase or restrict any personal data held. The right to withdraw consent to use you data. Should you have cause to complain you may do so by contacting us via email administrator@nashics.org or post to Administrator, NASHiCS 347 Horse Road Hilperton Trowbridge Wiltshire BA14 7PE. We may change this policy from time to time by updating these pages to reflect changes in the law and/or our privacy practices. We encourage you to check this privacy notice for changes when you revisit our websites. We will undertake to inform you via the newsletter of changes that occur.